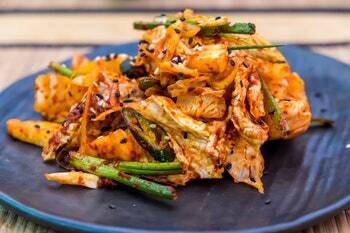 The spicy Korean condiment goes way beyond cabbage. Here are nine distinct takes on the trendy dish, from quick to caramelized. 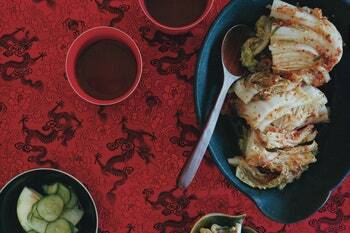 This is the mother of all kimchi. 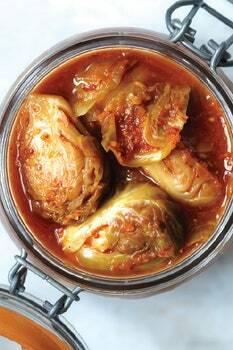 When Koreans say "kimchi," this is the kind that comes to everyone's minds. Good either fresh or fermented, it goes with everything from meats to noodles. 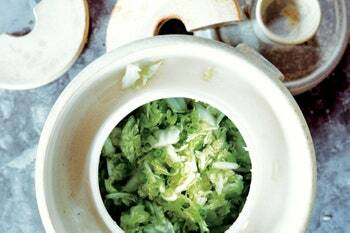 Usually fermented over several days, kimchi has a distinctive tang. This quick version, which takes advantage of the funky depth of Asian fish sauce, offers relatively instant gratification. Asian pear and ginger add sweetness and spice to this chile flake–free version of the condiment. 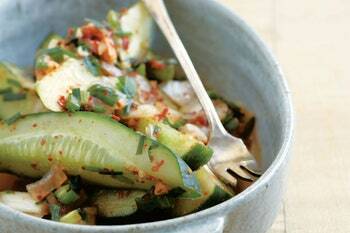 The coolness of the cucumbers in this kimchi is balanced with the spiciness of the chile powder. Even in the fermentation process, the cucumbers stay nice and crisp. 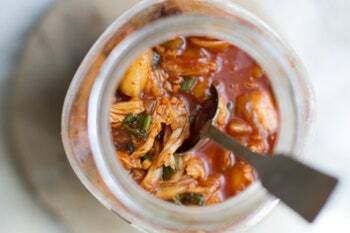 Watch out, sweet-and-sour pickles—this relish, perfect for hot dogs and sandwiches of all kinds, combines raw fermented kimchi with an equal amount of caramelized kimchi. 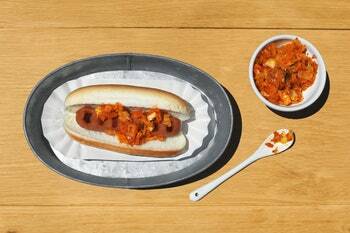 This recipe comes from celebrity chef Hugh Acheson, who includes smoked paprika for a dose of earthy depth. The most diminutive member of the cabbage family takes center stage in this version of the condiment. Serve it with pork chops for a spicy side dish that also acts as a sauce. 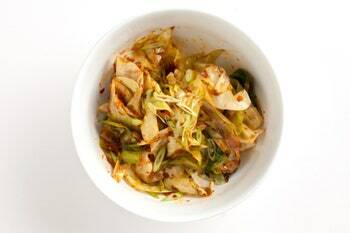 This quick-sautéed side dish only takes inspiration from kimchi, in the form of a spicy sauce added in the final seconds of cooking. 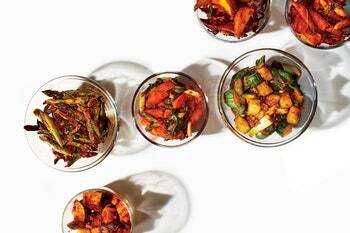 Turn any vegetable into an addictive spicy pickle with this simple, quick technique.